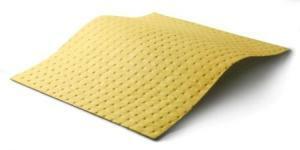 Being prepared for workplace spills by having the right absorbents is less than half the battle. The remainder is in where they’re placed and how they’re used. Our 10-point guide to spill control and absorbents will point you in the right direction. When it comes to spill control, the secret of success lies in the 80:20 rule, with preparation representing the lion’s share. The consequences of poor preparation have just been highlighted by pollution of a two-mile stretch of the Worcester and Birmingham Canal, where seven swans have been harmed by spilled diesel from an unknown source. It’s a perfect illustration of what can happen miles away from the spill. The diesel has got into the canal from one of its tributaries, which these days run underground, leaving the Environment Agency scratching its head about how to find the source of the problem. Of course, you could go one step further, and say the eliminating spills completely would be the better option, with an ounce of prevention being worth a pound of cure. Until that happens, a strategy for cleaning up spills is as important as having the spill kits to clear them up with. Spill kits and absorbents come in a range of types and sizes, each created to deal with specific kinds of spills. That variety of products should be the start point for developing your spill strategy. Start by working out what can spill, and where. This might be drips of oil from machinery, the catastrophic failure of a tank or pipework, or loss of chemicals during loading, unloading or decanting, for example. Consider the quantities. Availability of a 1,000-litre berm would clearly be overkill in the event of body fluid spill. The products in spill kits and absorbents all indicate the volumes of liquid they can absorb for safe disposal later, and will guide buying decisions. Match absorbents and spill kits to what may be spilled. Absorbents have particular qualities suited to particular kinds of spills to make them as effective as possible in particular situations; others are effective against a number of spills. Some products can differentiate between the liquids they come into contact with. This type of oil absorbent won’t absorb water, making it ideal for limiting oil spills on watercourses. Choose multi-line defences. If oil is to be decanted regularly, for example, the first thing to consider is the way drums are stored, and keep them on bespoke pallets that have drip-containing sumps, like these. These trap small spills, and prevent them being spread, especially on workers’ footwear, making for a safer workplace. As such they form the first line of everyday defence against minor spills, and remove the need to deploy more substantial measures. Put absorbents in dedicated storage close to where they’re likely to be most urgently needed. This will save time in the event of a spill. Plan for collateral damage. Fines for environmental damage can be considerable, with the added burden of reputational damage further hurting your company’s bottom line. For this reason (and that it’s good practice too), having equipment such as drain protectors to hand will keep spilled liquids out of the wider environment. Train the staff. One of the most effective tools in spill control is prompt action in deploying the right spill control measures. Make sure that, as well as knowing how best to handle liquids to prevent spills in the first place, employees are aware of how they should use the spill kits and absorbents you have provided. You might even consider spill control exercises, allowing employees to work with the materials provided to sharpen awareness and improve readiness. Consider incorporating spill control into induction procedures. Provide protective clothing. Spill control is about damage limitation. Employees expected to clean up spills must be able to do so without personal risk, so the equipment you provide must have their welfare in mind, as well as providing necessary supporting equipment. The first is illustrated by the provision of latex gloves in body fluid spill kits; the second in the ancillary equipment that forms part of an ADR spill kit for spill control on the move. Clean up responsibly. Absorbents used on any kind of spill may not be disposed of with general waste. Their disposal is governed by the same rules as for the material they’ve been used to pick up, so they must be disposed of in the same way. Re-order. Lightning doesn’t strike twice, until it does. If you’ve been forced to use spill control products there’s now a chink in your spill control armour, so whatever you’ve used should be replaced without delay. Spill Control Centre offers same-day dispatch on a substantial part of the product range we hold in stock. This entry was posted in Spill Control and tagged Absorbents, spill control on October 20, 2016 by neil.stocks. Having the right tool to hand removes potential difficulties in any job, making it simpler and more straightforward. But which tool for which task? I’ve written this guide to absorbents and their uses to help you make sure you have the right kind at hand when you’re faced with the clear and present danger of your own spill. Whatever my neighbour was doing, it wasn’t going well. Crouched on his haunches peering at the hinge on his car door, I could hear only muttered curses, and couldn’t resist going over to find out what was happening. That need to pick a specific tool for a specific job led me to consider how customers needing spill control absorbents could pick the ones they needed. All the relevant information is on the Spill Control Centre web site, but because we’ve been thorough in presenting it, there’s a lot to get through. That’s why I’ve created this ‘pick me quick’ guide to which absorbent is right for which application. Every section contains a link to take you directly to the right part of the web site, where more detail can be found. And every situation involving chemicals or fuel needs to be considered in the context of potential consequences. Just look at our picture – an uncontrolled spill, with associated environmental damage, just waiting to happen. I’d suggest that the dark stain on the jetty is evidence of a spill having already happened. How much of it went between the planks into the water? Containment: This should be your first priority, minimising collateral damage caused by spilled materials getting into watercourses, drains, and onto open ground. Drain covers are instantly deployable, and will protect the drains. To prevent the spread of spilled liquids larger tanks and vehicles are best protected by permanent use of temporary bunds or berms, but where these are permanent, they’ll need to be cleaned out regularly, especially in the autumn when they can fill with debris like blown leaves. In emergency situations, portable bunds can quickly be deployed for the most effective containment. They’re available in a variety of sizes up to the Stinger snap-up berm, capable of holding more than 12,000 litres. We also have a mechanical drain cover, which is re-usable and ideal for protecting drains during routine operations like tanker deliveries, for example. Oil: Prevention is always better than cure, so oil drum storage utilising containers with built-in capacity to catch spills is always a good idea. Bunds and berms may be appropriate, but for smaller spills and leaks the plant nappy is a most effective solution. Heavy plant can be driven onto it, and the sides will spring back into place; spilled fuel or oil will soak in, but water can escape, so there’s no danger of spilled material escaping into the environment. Chemicals: Spills of hazardous and aggressive chemicals require instant response so we offer a range of chemical spill kits small enough to be comfortably stowed in van and lorry cabs and on fork-lift trucks. 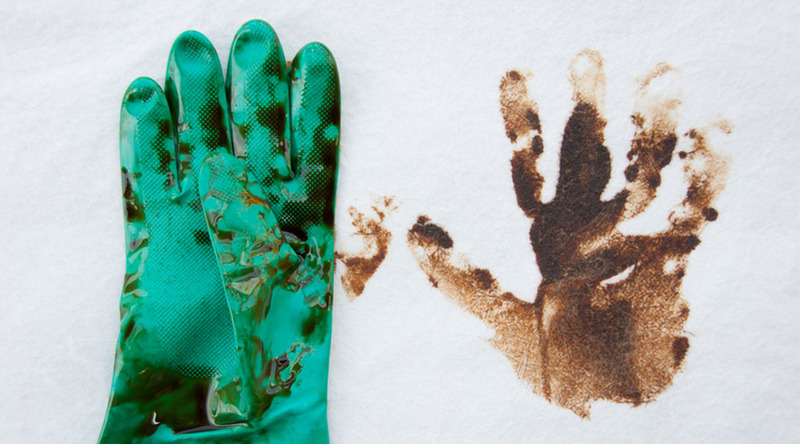 A range of sizes and refills is available, many containing more than just the spill control equipment, but equipment to protect the user too, like gloves and masks. Water: We offer water spill kits, but that’s perhaps a misnomer, because these products are equally at home soaking up most fluid types. They can absorb oil and water simultaneously, in quantities of up to 900 litres. Small localised spills: As for drips. Look for absorbent granules to spread over the surface of the spill and draw in what’s been spilled. Sweep up carefully and dispose of responsibly. Cellulose granules are ideal; fire retardant and effective, they’re made from wood from sustainable sources. Several sizes of bag are available. Drips: As for small localised spills (above). In the short term, cellulose granules will do the job, but if you have a range of liquids that could spill, you might be better advised to pick Spill-Aid power absorber. It’s more absorbent than clay-based solutions, and considerably more absorbent. On factory yards clay granules are effective, since they are chemically inert, won’t turn into mush when they’ve done the job and can safely be walked on and driven over. Look for construction clay and industrial clay varieties. If you’re able to easily get to the source of the leak, a tub of leak sealing putty is extremely effective for a short-term repair. Body fluids: Always a tricky one this, with an enhanced need to protect the person doing the clean-up role. That safeguard is included with our body fluid spill kits that are small enough to be carried, but large enough to cope with most situations, meaning they can be quickly deployed in large locations like shopping malls, sports stadia, and leisure centres, for example. On the move: Carrying the spill containment product on the vehicle carrying the product that may be spilled needs an ADR spill kit. Our most comprehensive kit contains containment and clean-up equipment, and protection for the operator, as well as a warning triangle to let other road users that there’s a hazard ahead. This entry was posted in Absorbents and tagged Absorbents, spill aid, spill kits on November 2, 2015 by neil.stocks. The instant you react to a spill by reaching for something as simple as a handful of kitchen paper to mop it up, you’ve become an organic chemist, because you’re creating the circumstances for a controlled reaction to take place. The principle is the same no matter what everyday material you use to absorb the liquid that’s been spilled. It’s a principle relied on by astronauts travelling in space (who don’t have conventional toilets; enough said), domestic cats travelling no further than the litter tray, and you, every time you reach for a towel after a bath or shower. It’s all about cellulose, which makes up about a third of all vegetable matter, with the proportion rising to 50% of wood and 90% of cotton. Cellulose is the most common organic polymer on the planet, and has a complicated chemical structure involving carbon, hydrogen and oxygen – the same elements found in sugar – and absorbs liquid very readily. And there’s the magic. We all know how readily sugar dissolves in water (or coffee or tea). Cellulose is a kind of sugar, so draws liquid into its molecules, which happens when you mop a spill. Kitchen paper, commercially-available absorbent granules, or cotton Terry towelling all contain cellulose, and work in the same way to achieve the same objective in different scenarios. The thicker the fabric (if fabric is being used) the more moisture can be absorbed, simply because there are more fibres to do the work. The same principle takes place when wood rots. The cellulose in the timber absorbs water over a long period, which eventually destroys the cells from within. Timber treatments are geared to prevent that absorption, and make your shed, decking or fence last longer. The older readers amongst us will be familiar with Terry nappies for babies; the younger ones will be more familiar with disposables. The latter are based on another polymer with even greater capacity to absorb liquids. That’s called sodium polyacrylate, which can absorb more than 200 times its own weight of liquid. Finally, if cellulose is sugar, why can’t we eat it? The answer is that we can, but the human digestive system can’t break it down, so its only value is as dietary fibre. Animals such as cows, sheep and goats have similar problems, but they digest it with the aid of bacteria found naturally in their digestive systems. This entry was posted in Absorbents, Spill Control and tagged Absorbents, spill control on September 15, 2014 by neil.stocks. Every employer has a legal obligation to protect people from the hazards involved in their business, both as employees and people who might be affected by what they do – and yet slips, trips and falls are still the most common form of workplace injury in the UK. Those obligations are defined in the Health and Safety at Work Act 1974 and the Management of Health and Safety at Work Regulations 1999 – but implementing controls is often down to a dose of common sense and applying a little thought over things you might otherwise take for granted because you’re so familiar with your surroundings, and things have changed imperceptibly over the years. But it’s important to remember that no-one running a business can ever hope to be everywhere all the time, which is why training all employees to be ‘anti-slip-and-trip ambassadors’, with a responsibility for eliminating hazards as soon as they occur, is part of having a safe workplace. Naturally there are things you have a responsibility for, like curling carpets, worn stairs, or dripping condensation pooling on smooth floors – but employees are the people who might sweep waste from workbench to floor, and leave it there; who might overfill containers, whose contents could then spill out unchecked and unmopped, and who might leave cables trailing over the floor. All of these can be remedied; some by investment and others by good housekeeping and employee training. In removing the hazards, be careful not to replace them with others, counsels the HSE advice. It cites as an example wet mopping of spills, which can replace one contaminant with another without removing the hazard. Better, they say, to use appropriate absorbents and to leave the floor dry. Taking the right slip-free steps will mean everyone can go home as fit and well as when they arrived, allowing your business another profitable and headache-free day. This entry was posted in Spill Control and tagged Absorbents, safe, spill kits, workplace on April 16, 2014 by neil.stocks. 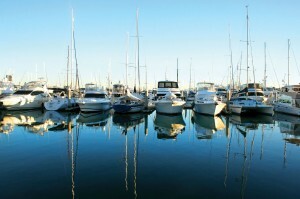 Marinas and leisure boat operators under scrutiny. The Environment Agency and regional water companies have a statutory responsibility to enforce controls on any business activity that produces waste water generically called “trade effluent” and failure to comply with regulations may result in significant fines to your business. Added to which you have the European Water Framework Directive that was signed into law by all European Union countries in the year 2000. The Directive set an initial time frame for implementation of water improvement frameworks, which had to be operational by the end of 2012, with the detailed objectives being achieved by the end of 2015. 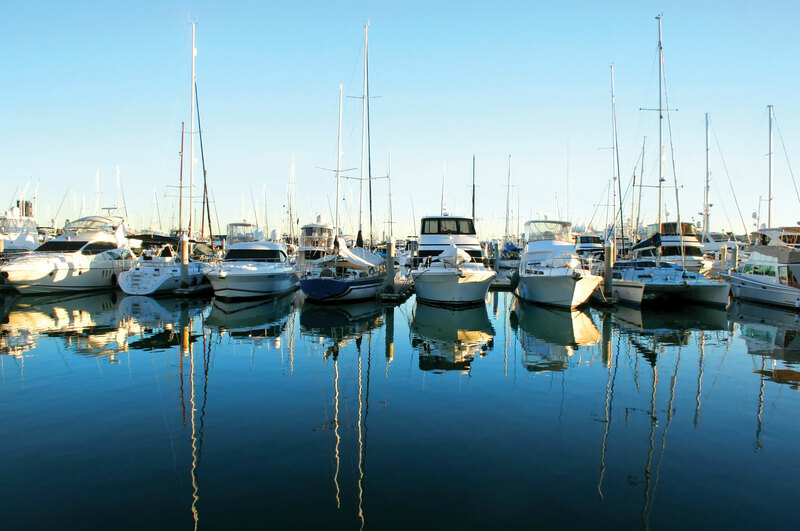 Marinas, commercial and leisure boat operators have a particularly hard time when it comes to compliance given the pollution potential they generate in the normal course of business. 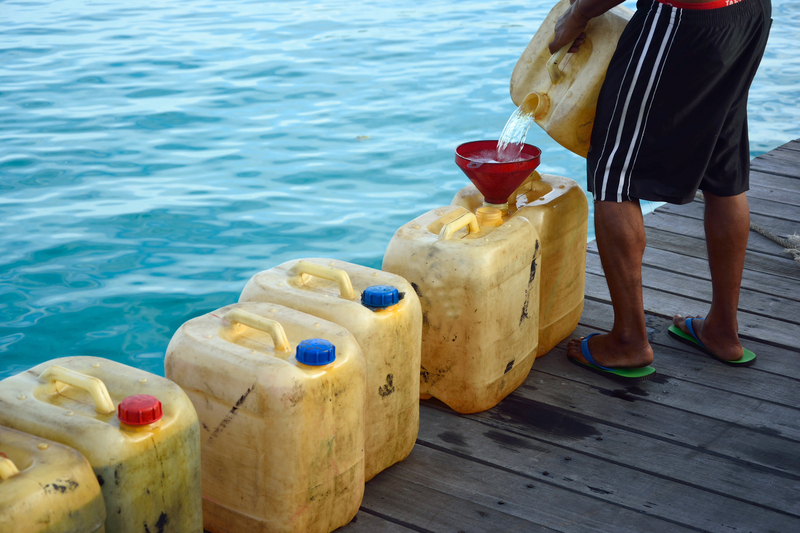 Potential sources of pollutants commonly found in many marinas include oil, fuel, boat sewage, toxic metals, solvents, antifreeze, and detergents. As figures show water pollution is on an upward curve the Environment Agency is stepping up its inspections to ensure all marina and boatyard businesses address this problem. The best way to minimise accidental pollution is to put in place an Environmental Management Plan based on a thorough risk assessment of your business operations. Effective environmental protection is easier if you have a structured documented management plan that the workforce can refer to. Achieving practical outcomes is based on four stages. Implement safeguards and controls including staff training and customer awareness. Review your plan and adapt to changing working practices or new risks. Ensuring environmental safety is often common sense. Siting oil and fuel tanks as far away from water courses as possible is an obvious example but you should also ensure tanks have bunds with sufficient capacity to contain any spillage. Choose spill control products appropriate to the risk and site them in close proximity to the risk. Oil only spill absorbents for example are not effective on water based effluents and no control measures will be effective if they are not readily accessible. Ensure customers, particularly boat owners on your moorings are aware of their responsibilities and know the type and location of spill control provisions available on site. 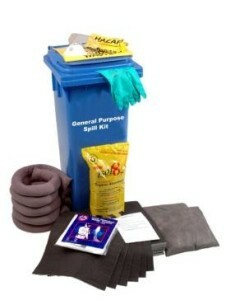 You can also encourage customers to carry their own spill control kits which you can supply. We all have a responsibility to protect the environment and after all the industry rely on having safe clean waterways to attract more boating enthusiasts. This entry was posted in Spill Containment and tagged absorbent, absorbent bunds, Absorbents, boat, bund, Bunds, compliance, environment, marinas, oil absorbents, oil spill, pollution on May 2, 2013 by neil.stocks.